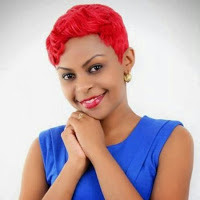 Kenya’s leading secular-turned-gospel sensation Linet Munyali who is widely known to many as Size 8 recently left many tongues wagging in her candid interview where she revealed that she was once a petty thief. The heavily pregnant beauty who is DJ Mo’s better half claimed that she was from a poor family and her parents could sometimes not make ends meet hence forcing her to steal from neighbours. She even confessed of stealing and slaughtering her neigbour’s chicken along her siblings. “I was born and raised in Nairobi’s Eastlands estate of Maringo. As a family, we were so poor that we lacked enough food.. We used to steal neighbour’s chicken because we couldn’t afford to buy any. We stole water and electricity too. My parents couldn’t even afford to buy me sanitary pads. And I had to find alternatives, I became so heartbroken after many radio presenters failed to play my CD. I used to stalk them and they hated me for it. People criticised my videos but I never gave up. Everybody who I told about my ideas just laughed at me.